Hope everyone is enjoying warmer weather where ever you may be. Here in Los Angeles we’ve had a bit of a warm up, just in time for me to try out the new men’s collection from Old Navy. 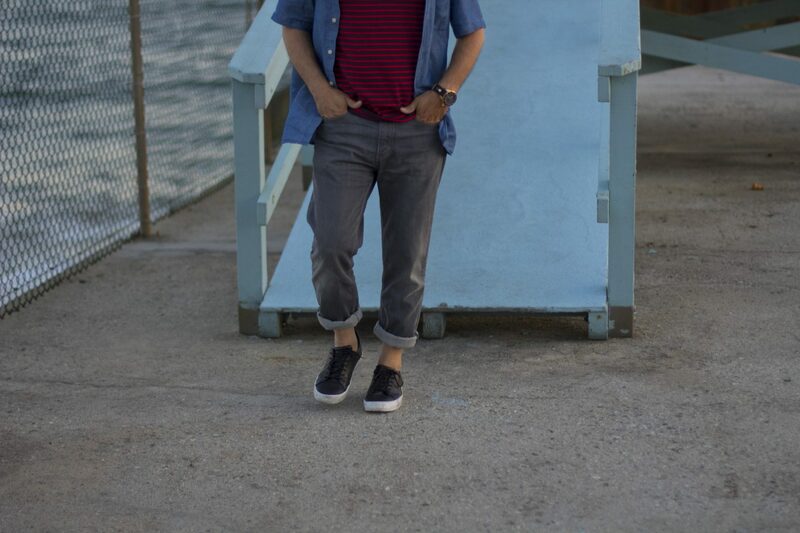 So, here are some of the outfits I put together for an LA male bloggers Old Navy style look. If you’ve followed me, and I hope you do (pretty please on Instagram, Facebook, Twitter), you’ll notice that I seldom wear any brand from head to toe. Nothing wrong with wearing any brand from head to toe, mind you, it’s just not me. I haven’t found one brand that fits my style and I can wear sunglasses, a watch, a belt, shoes, shirt/tee, and pants/shorts. Hopefully, this year, I’ll be able to wear head to toe, but until then, do like I do and mix it up. Remember, only you do you. Above, I’m wearing Old Navy’s new men’s collection for SS2017. 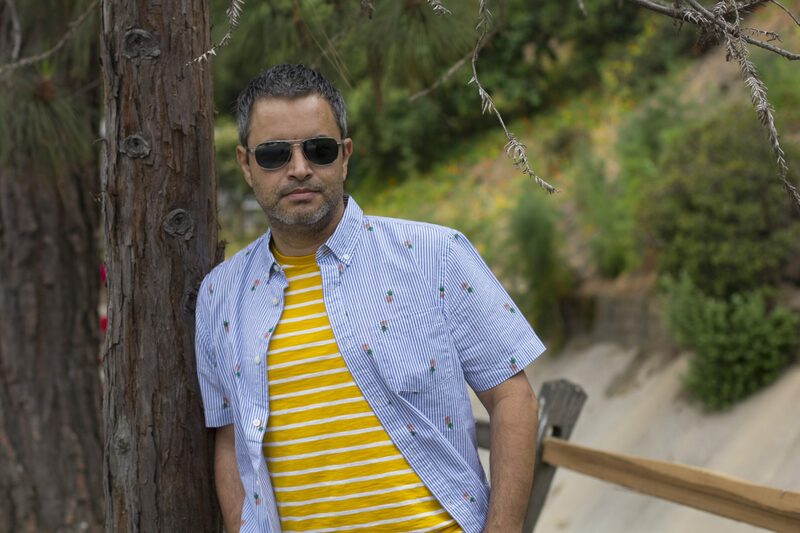 A blue striped shirt with pineapples, and a horizontal yellow/white tee underneath. matching with Old Navy’s lightly striped blue/white shorts. Yeah, I like stripes! For accessories, I’m styling my new Maui Jim Guardrails. You’ve seen me wearing a lot of Maui Jim this season and there’s a reason why. I love their collection! And to finish the look, white leather sneakers from Creative Recreation. 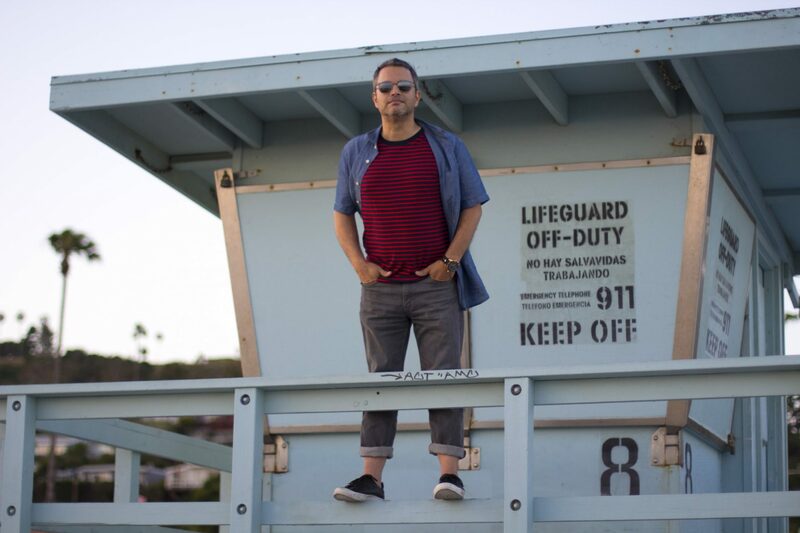 In my second LA male bloggers Old Navy style look, I’m styling for an evening at the beach. In Los Angeles, it gets chillier at night. Usually a 10-15 degree difference from the day. This is why, you’ll see us LA bloggers usually carrying a light jacket or sweater around, even when it’s 80 degrees during the day. That’s ’cause we’ll usually spend the whole day and most of the night out, and won’t get back home for a chance to dress into something warmer. 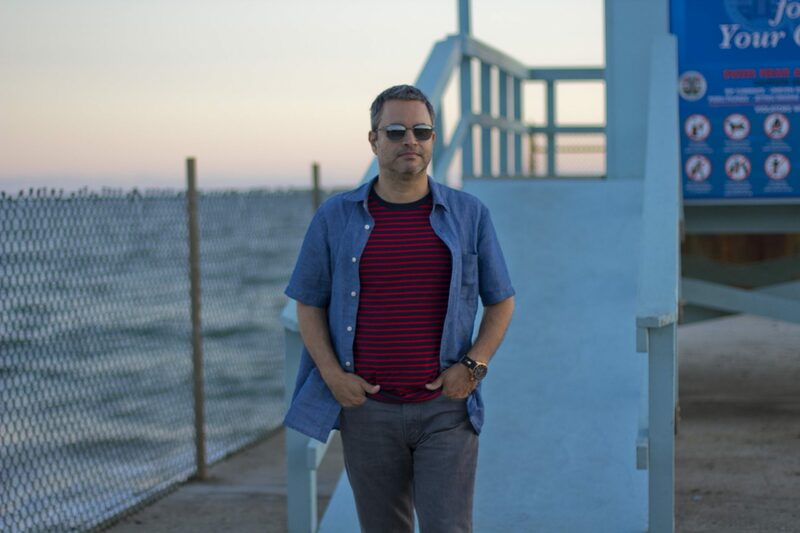 Here I’m wearing a blue shirt from Uniqlo, an Old Navy red and blue striped tee, gray Levi’s 511 jeans, and black leather sneakers from Creative Recreation. For accessories, Maui Jim Stillwater sunglasses and a Kyboe Power Silicone Strap watch. You’ll notice that at the beach, I usually like to roll up the legs. These lets me take of my shoes and not worry about getting the pant legs getting wet and dirty. It also makes my legs look skinnier; well, like if I ever needed to anyway! Showing skin between the pant legs and footwear is something that I’ve always liked in my outfits. But, that’s just me. As always, get inspired and let’s see which one of the LA male bloggers Old Navy style looks you’d like to see more of. Let me know in the comments below. Hope you’ve enjoyed this post, and please don’t forget to follow me on Instagram.